Captain Melody's Music Reviews: Did you see that? Last night Brian Wilson performed on The Tonight Show in support of his latest release "That Lucky Old Sun." I have much respect for Wilson and have been an avid Beach Boys fan during certain times in my life, but who was that? He sat in front of a keyboard that he never played, and during parts of the song he simply stopped singing. His voice was rough and contrasted greatly with what I hear on the album. Has he always performed like this, or is this a recent development? 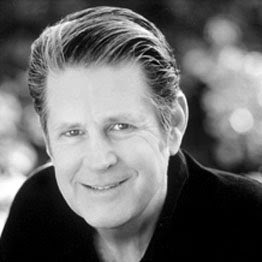 I couldn't agree more... Brian Wilson is a cultural icon... but he has gone a little off-kilter in his waining years... it is sad to see such a talent being taken over... by whatever it is that is taking him over... sad indeed!